2017 has been a year of major bribery fines, and we are only halfway through the year. In this blog, we review the global trend towards stronger anti-bribery legislation and how companies should mitigate corruption and bribery risk. So far this year there have been major enforcement actions taken against alleged bribery and corruption in jurisdictions across the world. At present, more than 150 investigations into violations of the Foreign and Corrupt Practices Act (FCPA) are being carried out by the US regulators, the Securities and Exchange Commission and the Department of Justice. In the UK, the Serious Fraud Office (SFO) has opened investigations into engineering firm Amec Foster Wheeler and mining company Rio Tinto. Amec is accused of alleged payments to middlemen, while Rio Tinto is accused of making unexplained payments in the Republic of Guinea. Brazilian companies continue to face significant enforcement actions for corruption which is closely linked to many of the country’s political leaders. In May, the controlling shareholder of meatpacking firm JBS SA was fined $3.2 billion for allegedly bribing nearly 1,900 politicians. Part of the reason for the rise in enforcement actions is that the U.S. is no longer acting alone. 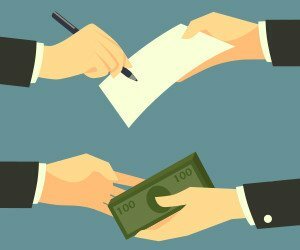 The aggressive enforcement of the Foreign Corrupt Practices Act (FCPA) has encouraged non-U.S. authorities to pursue violations of their own anti-bribery laws. Many of these laws include extraterritorial provisions that enable cross-border investigations and enforcement actions in multiple jurisdictions. For example, Brazil’s Clean Company Act 2014, the UK Bribery Act 2010, and France’s Sapin II, all apply extraterritorial. Further, Australia's Attorney General recently proposed amendments to the country's Criminal Code, which would make it easier to bring foreign bribery cases to court. According to latest figures from the FCPA Blog, globally there are 27 government agencies with open investigations into FCPA activity. In the U.K. alone there are 15 active investigations by the UK Serious Fraud Office (SFO). Clearly, stronger national legislation to prevent bribery and agencies working together across jurisdictions is now the norm not the exception. The rise in bribery enforcement shows that every industry is susceptible to bribery and corruption. But the FCPA Tracker, which monitors open FCPA-related investigations, has found that some industries carry a particularly high risk. There are currently open investigations into 31 companies working in oil and gas services, exploration and production. This sector has consistently had the highest number of enforcement actions of any industry and this is largely because oil and gas companies make a significant portion of their investment in developing countries and rely on third parties to support the extraction of resources. Other high-risk sectors include telecommunications (10 companies face investigations), healthcare (8 companies) and pharmaceuticals (6 companies). Companies should apply a higher level of due diligence when doing business in these industries. 1) Monitor developments in anti-bribery laws and standards around the world. 2) Put in place clearly-defined internal anti-bribery policies, and train and educate staff and business associates. 3) Identify the level of risk of bribery and corruption posed by third parties. Factors affecting the level of risk can include the third party’s country of origin and the industry in which it operates. 4) Put in place a due diligence process which allows third parties to be screened against sanctions lists, negative news coverage and legal sources. Commercial databases can quickly screen thousands of names against these lists. 5) Update this system regularly to take into account new enforcement actions and changes in sanctions lists. Looking for a tool to help you with your due diligence process? See how Lexis Diligence can help mitigate corruption risks.